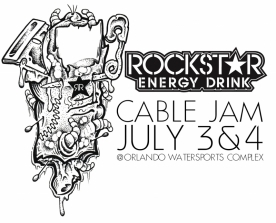 Orlando, Fla. — Don’t miss the final stop of the 2009 Toe Jam wakeskate series as the top rider is crowned with the season title at the Orlando Watersports Complex for the Rockstar Cable Jam on July 3-4. The highlight of the day is sure to be the head-to-head final, where last year Reed Hansen laid down a five-flip-trick finals run capped off by a double kickflip, the first ever in competition. 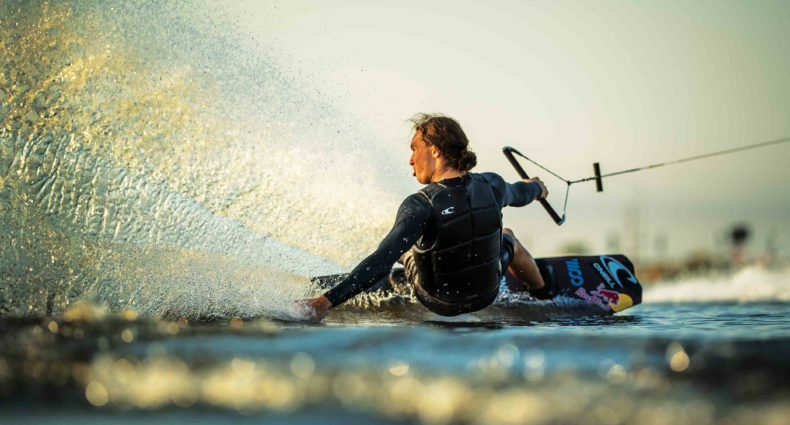 Riders will be scored on their use of the park as a whole, with consideration given for both surface tricks and moves pulled off the rails and kickers. Semi-finalists will be challenging for six open spots into the 12-man final. Six other spots are already reserved for past Toe Jam Champions. Semis / Finals 2-6 p.m.
Riders must register on line at http://www.byerlytoejam.com by Thursday, JULY 1 or pay a late fee on site and register during Friday’s Practice session.